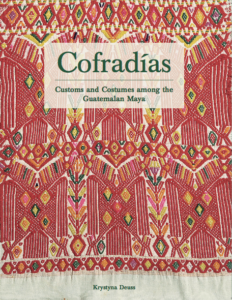 ABOUT US: The Centre was founded in 1990 by Krystyna Deuss, anthropologist, textile collector and author of “COFRADÍAS: Customs and Costumes among the Guatemalan Maya”, “Indian Costumes from Guatemala” and “Shamans, Witches and Maya Priests”. For the last 40 years Deuss has spent each winter in Guatemala continuing her research into various aspects of Highland Maya culture. The objective of the Centre was to raise awareness of the Maya culture of Guatemala and the problems that Maya Indians confront. Although the Centre closed its exhibition galleries and craft shop in 2009, students and academics can access our textiles and reference library on an appointment basis. Please email curator@maya.org.uk to arrange access. At the moment, payments can only be made via a cheque, direct bank transfer or PayPal. Please contact us via e-mail curator@maya.org.uk for details. An excellent introduction to the culture and costumes of the Maya with historical data, as well as mention of recent political upheavals . Especially good for students interested in design. Paperback. 72 pages with 80 photographs & 40+ illustrations. Shamans, Witches, and Maya Priests is a study of the “old ways” that still prevail in the Q’anjob’al, Akatek, and Chuj communities of the remote northwestern Cuchumatán mountains. Deuss paints a vivid picture of the traditional rites and rituals she witnessed over a period of 15 years. 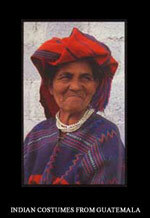 These include blood sacrifices for the good of the community and private shamanic rituals as well as black magic. Deuss has also included a selection of the prayers she recorded. 334 pages, 8.5″x11″ (210mm x 280mm) paperback. 102 black&white photographs, 43 diagrams, 9 tables, 4 maps, and appendices of prayer translations and comparative Day Lord attributes from the 5 communities. 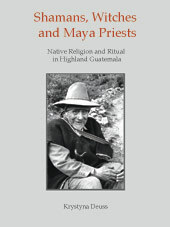 A description of cofradía religious rituals from the 1980s to the present in 28 highland communities. Each chapter is illustrated with colour photos of processions and ceremonial textiles. 192 pages, 8.75″x11.25″ (286mm x 222mm) paperback. 253 colour photographs, 7 diagrams & 1 map.